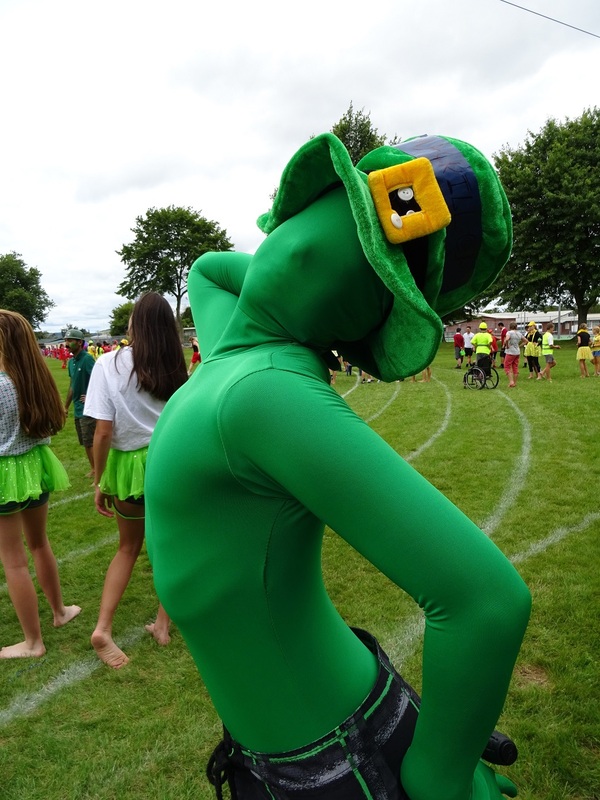 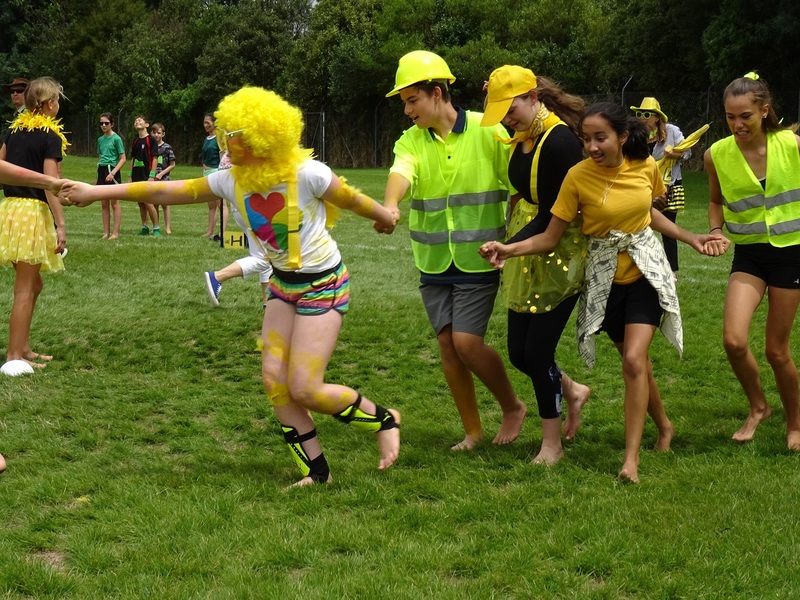 On the 8th of February John Paul College hosted their annual inter-house tabloids competition. 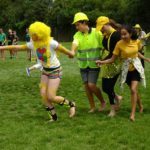 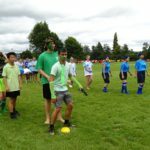 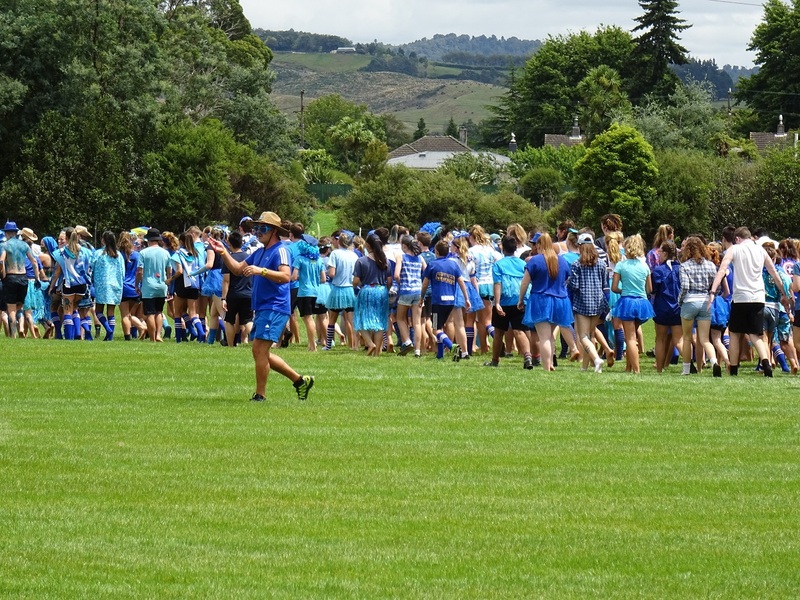 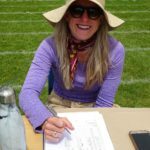 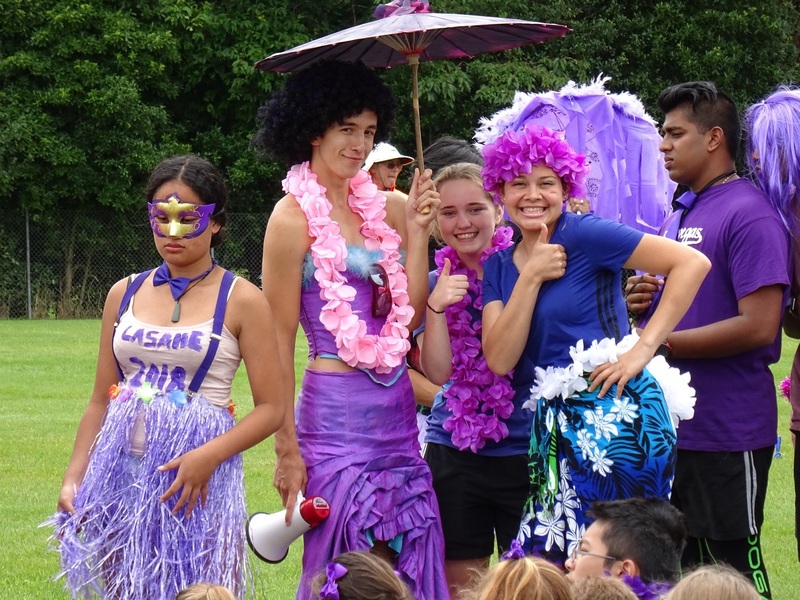 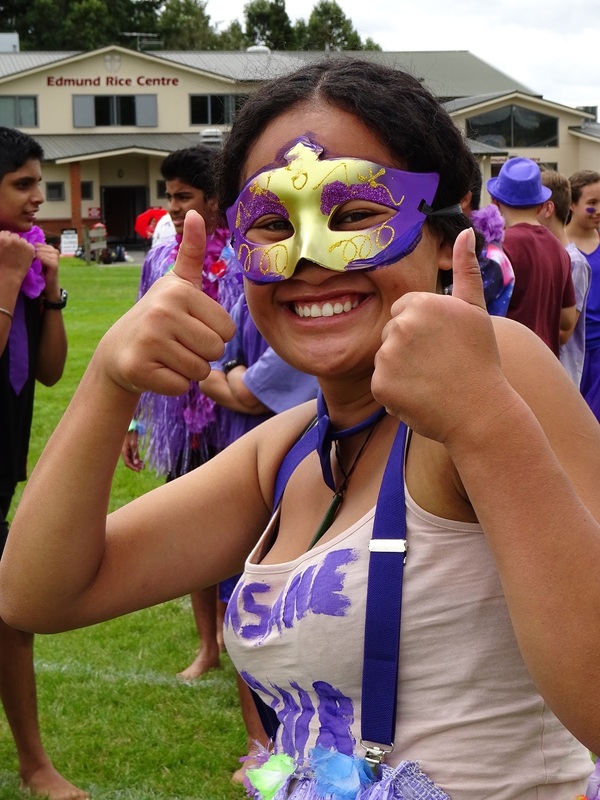 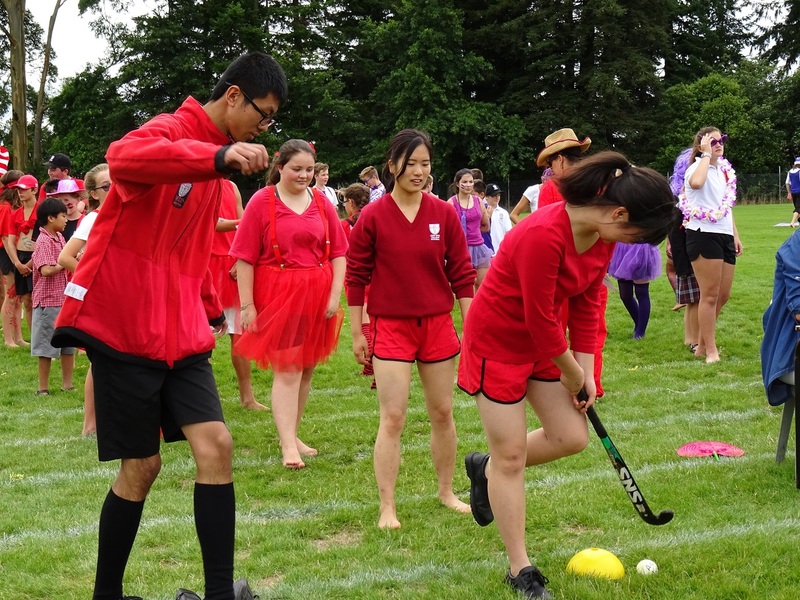 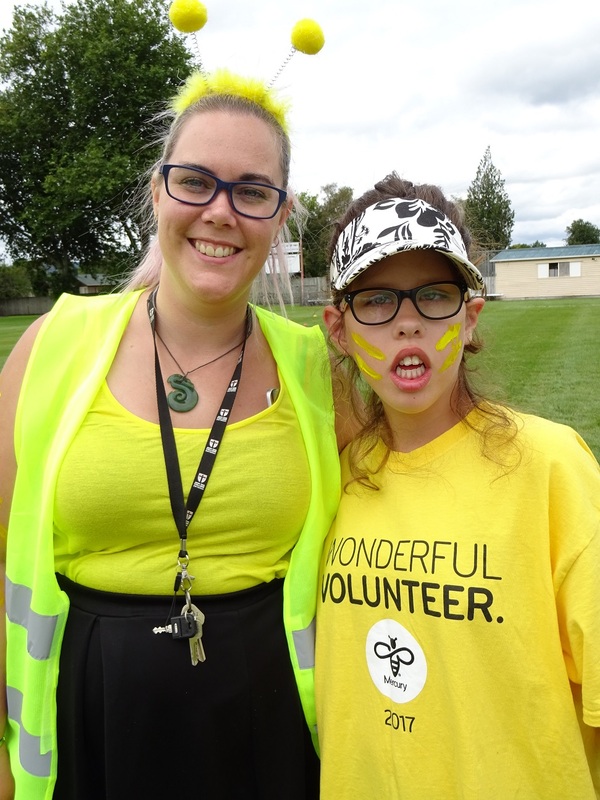 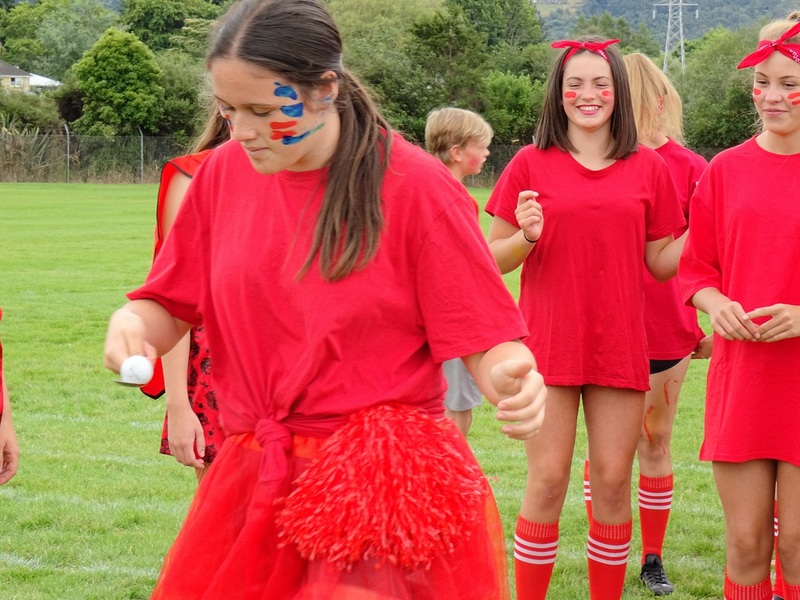 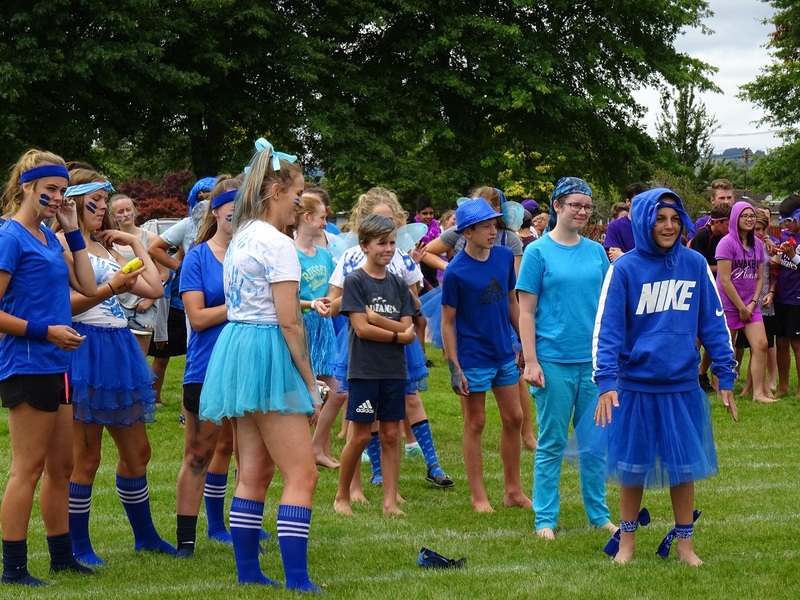 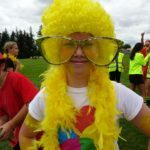 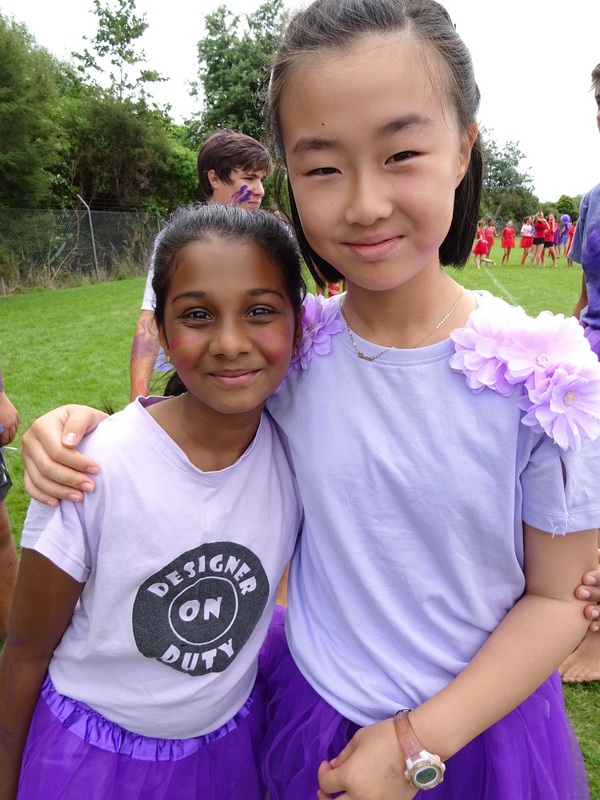 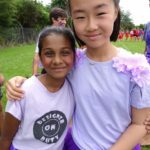 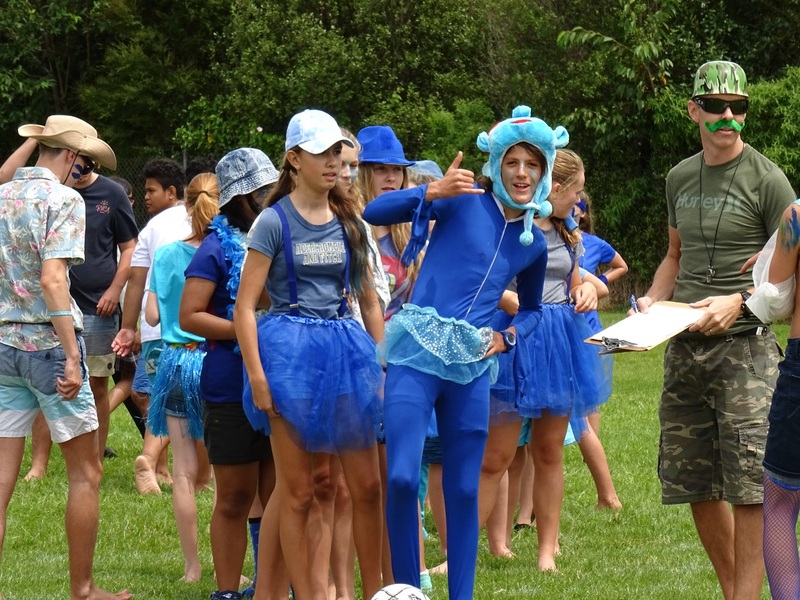 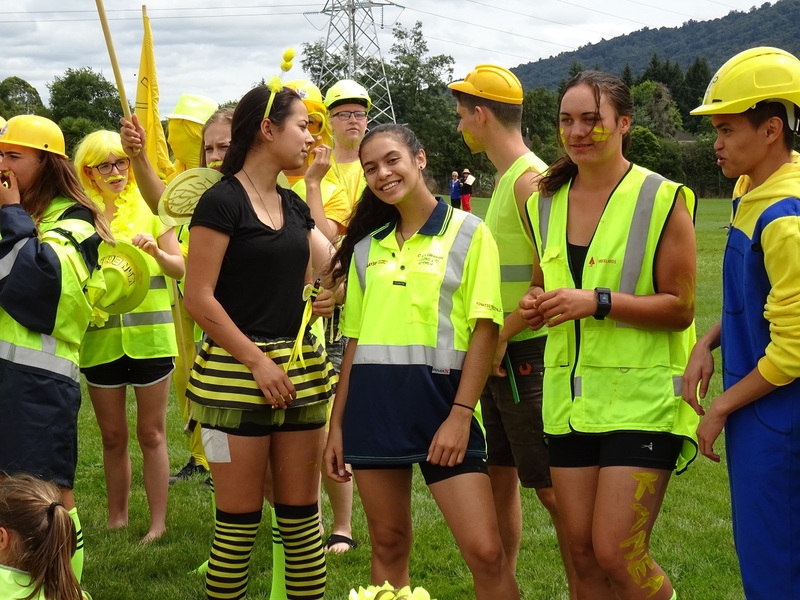 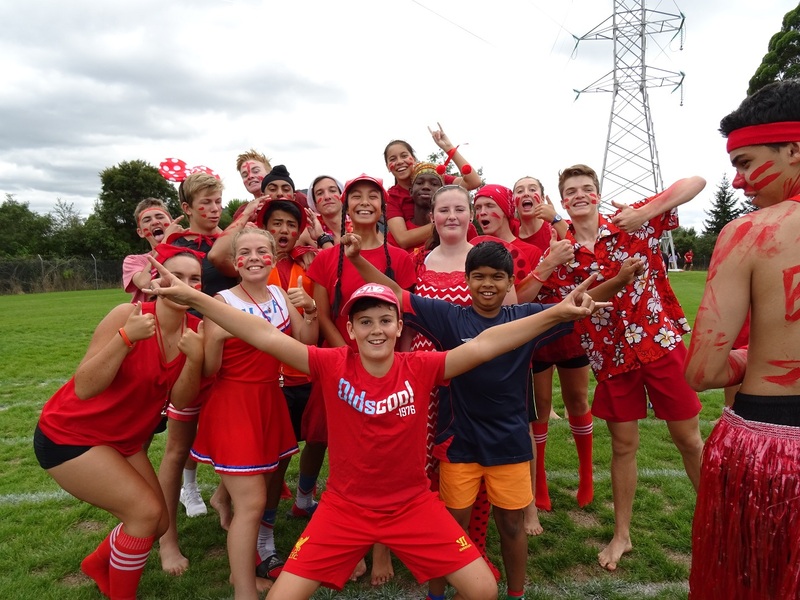 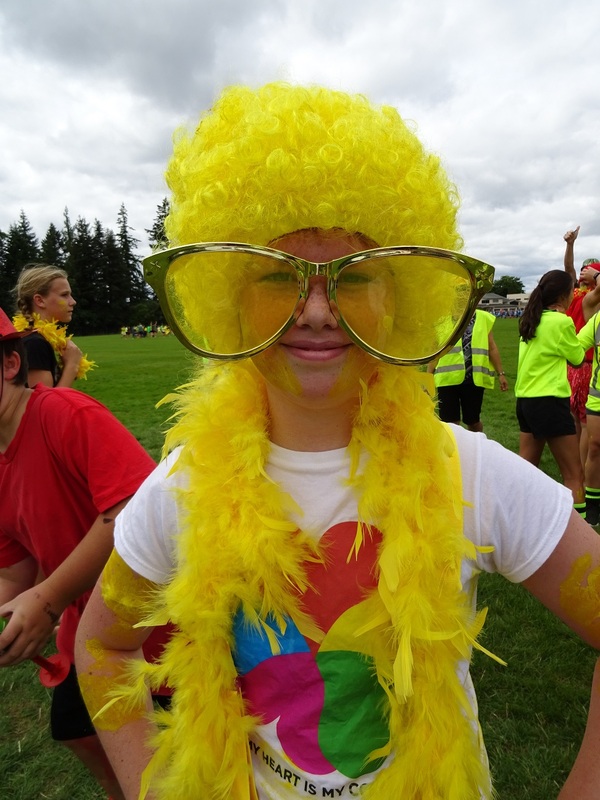 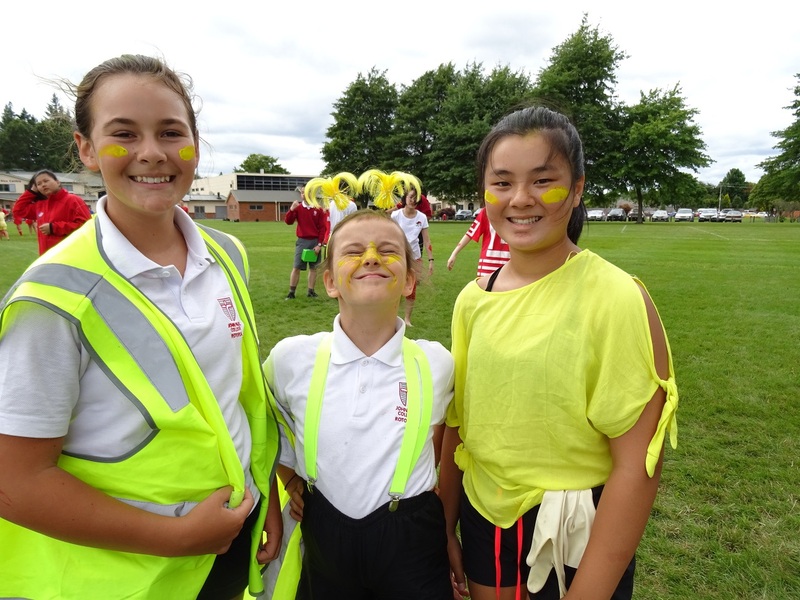 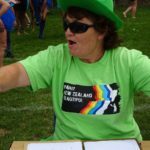 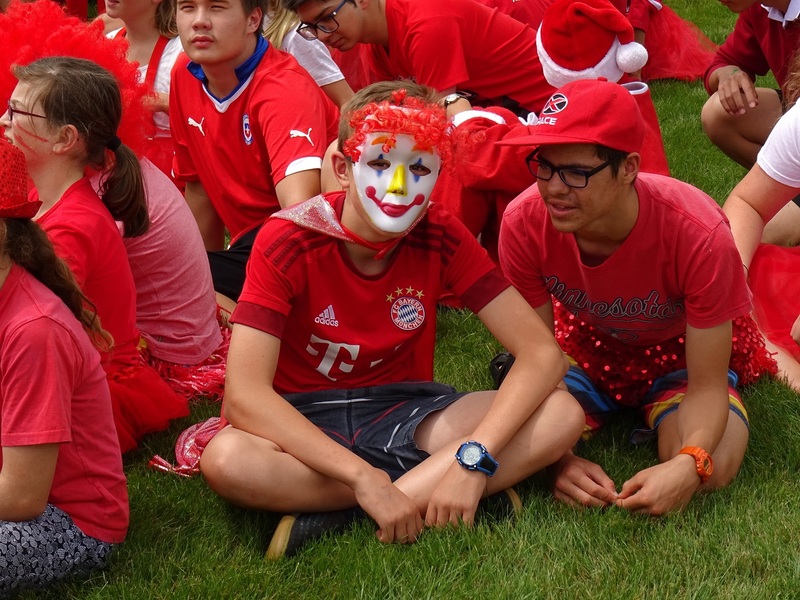 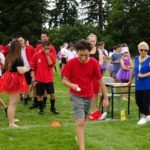 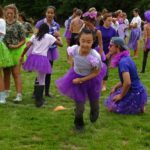 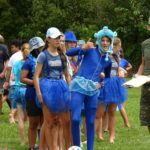 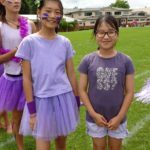 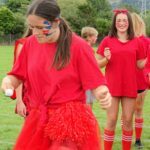 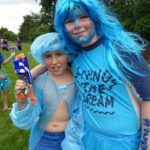 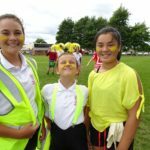 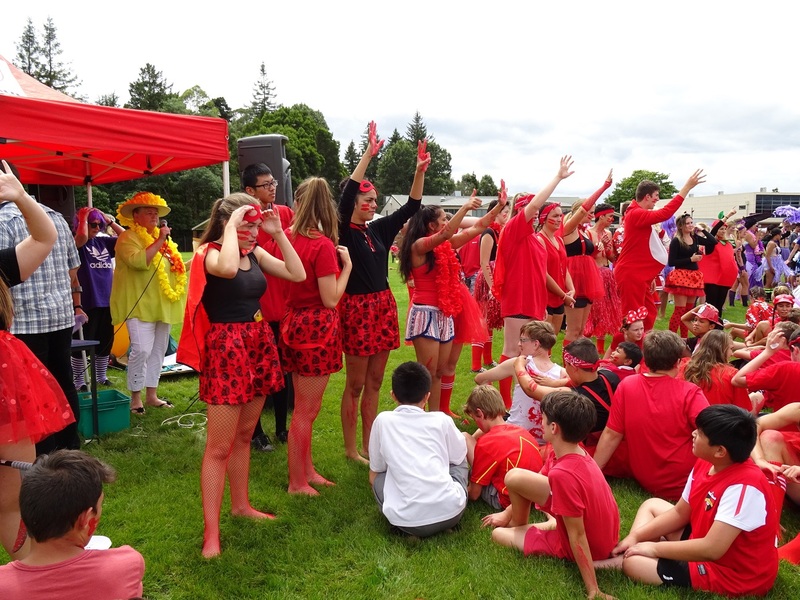 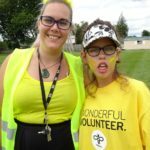 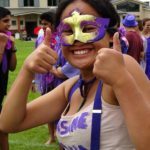 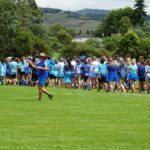 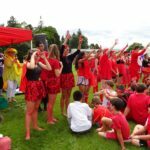 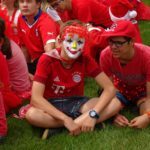 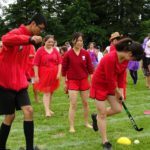 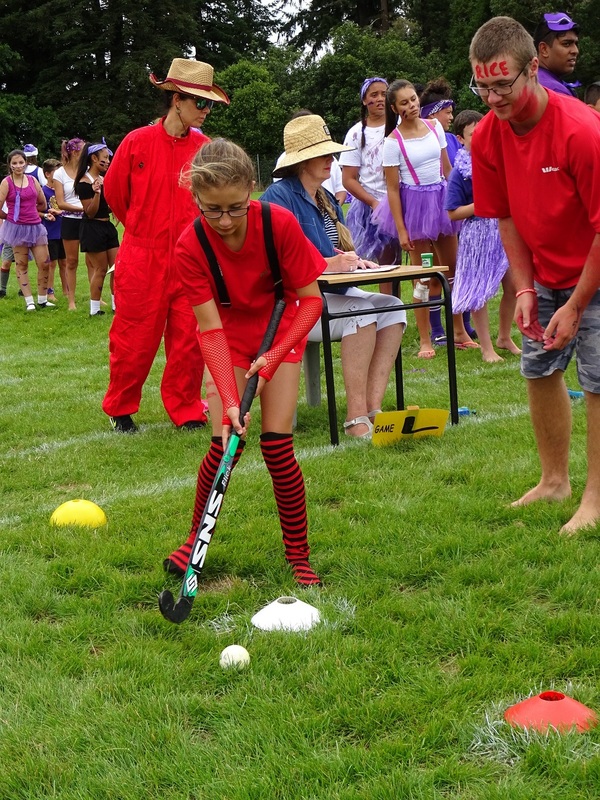 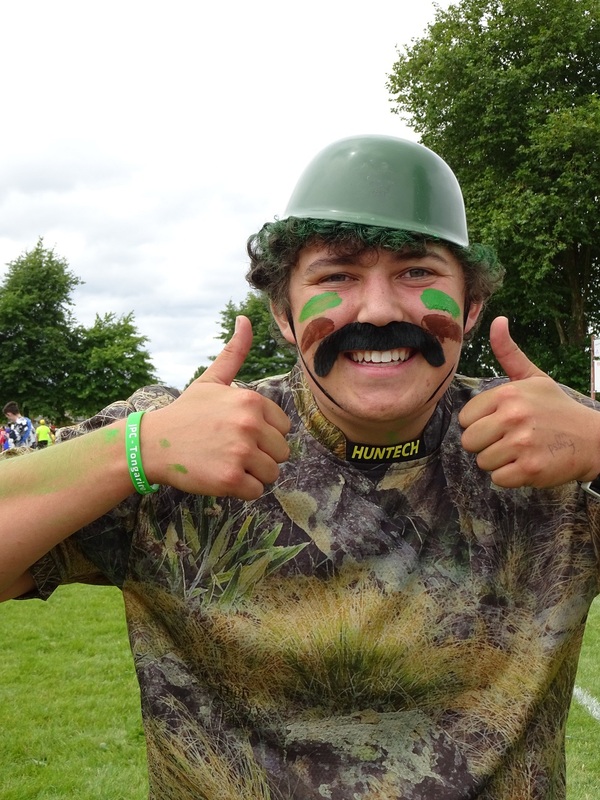 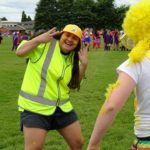 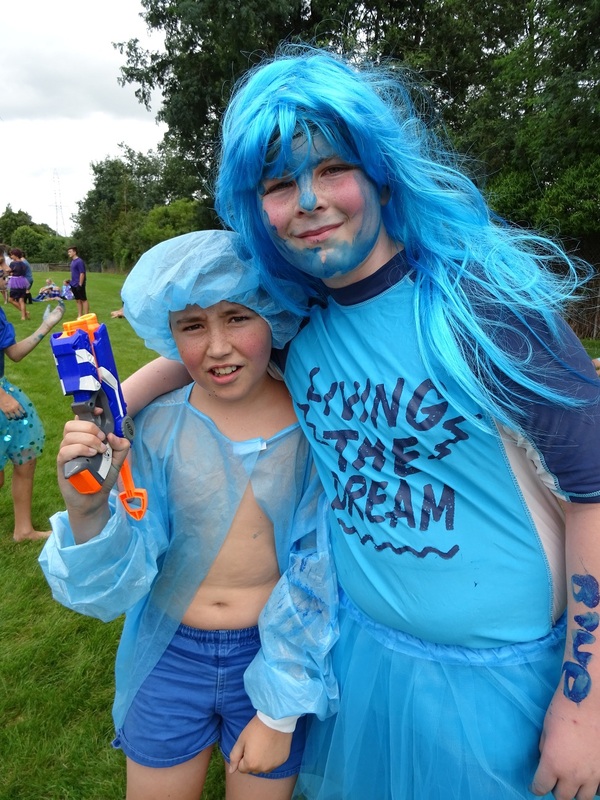 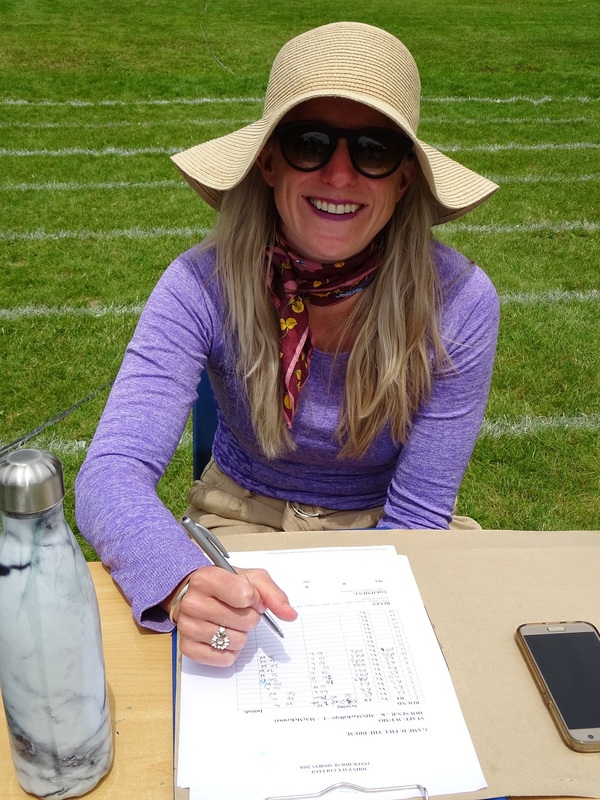 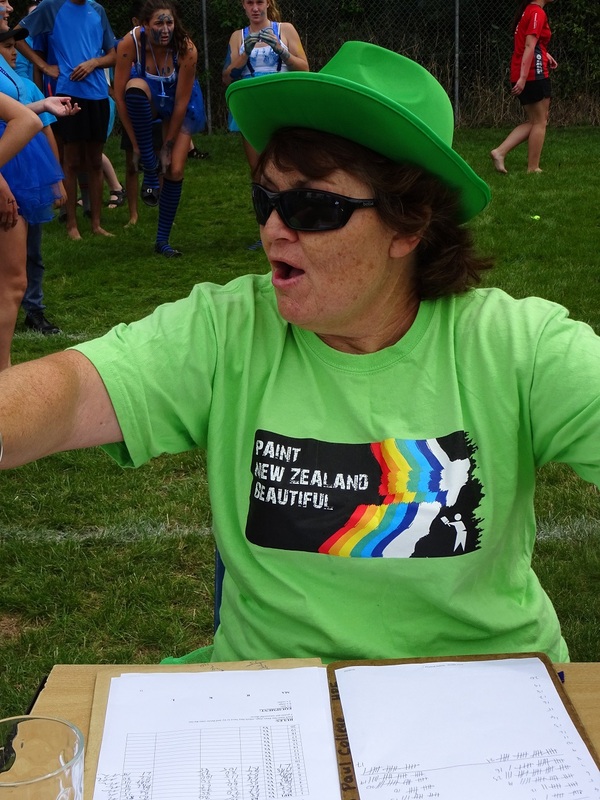 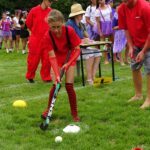 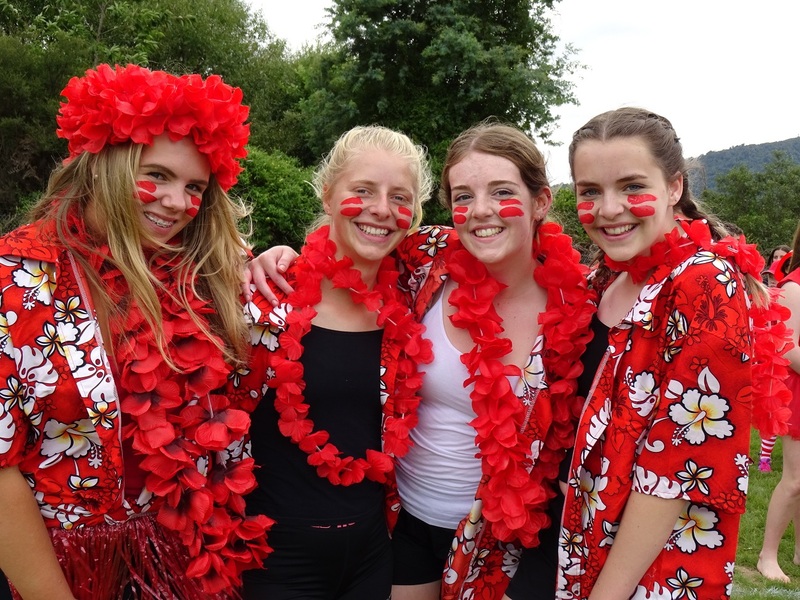 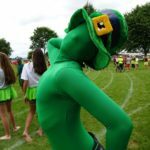 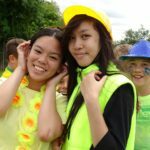 Bright colours, a competitive spirit and wide smiles were seen across the field, from all years 7-13. 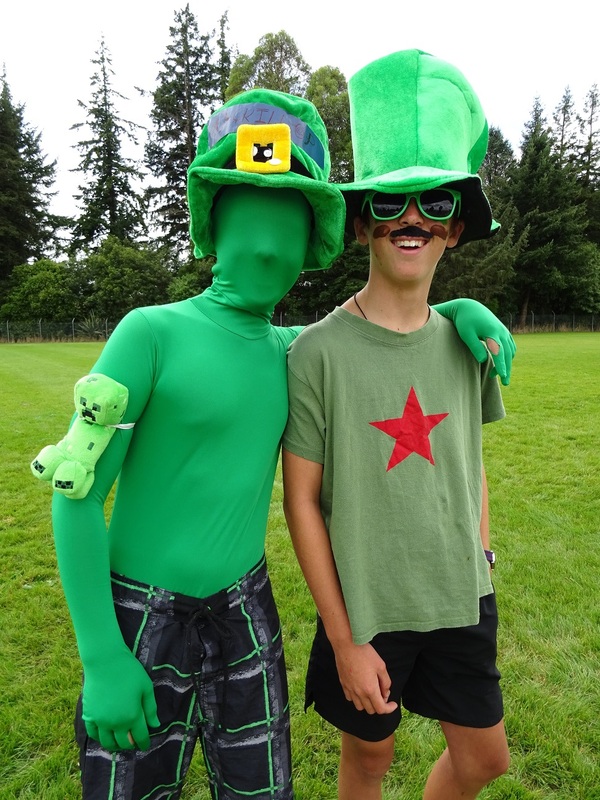 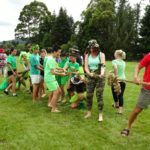 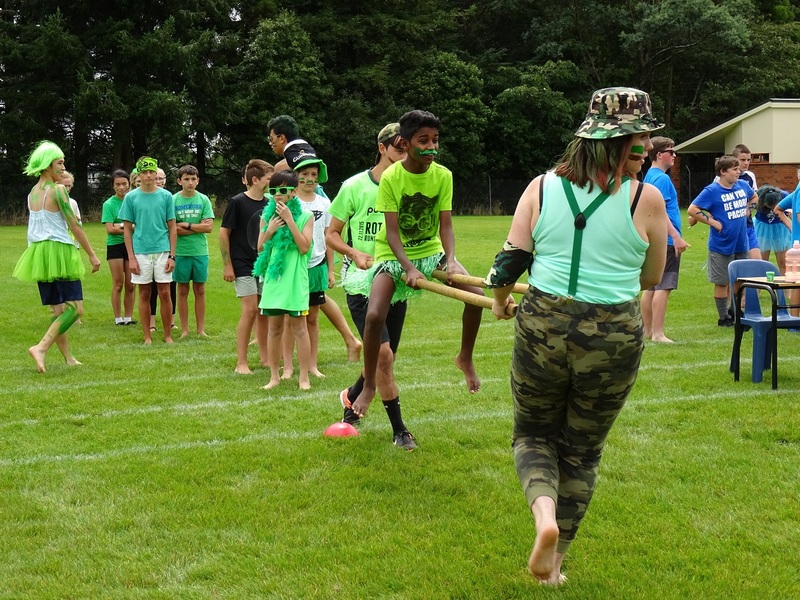 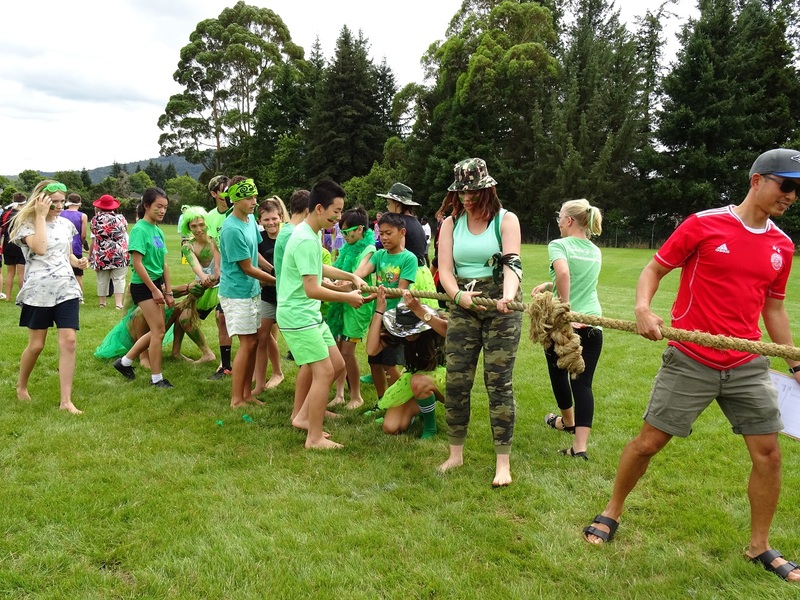 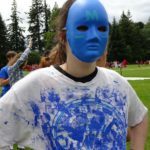 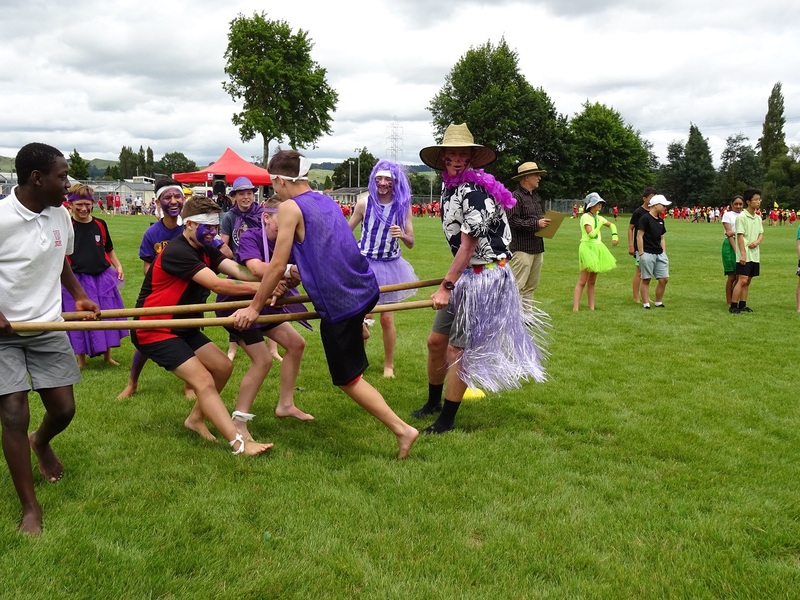 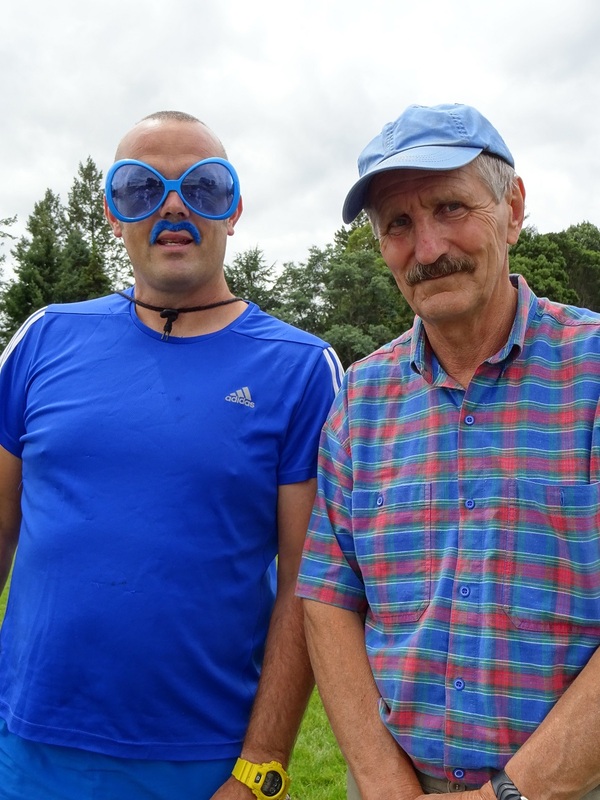 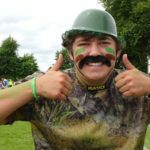 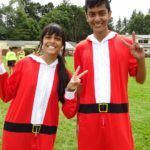 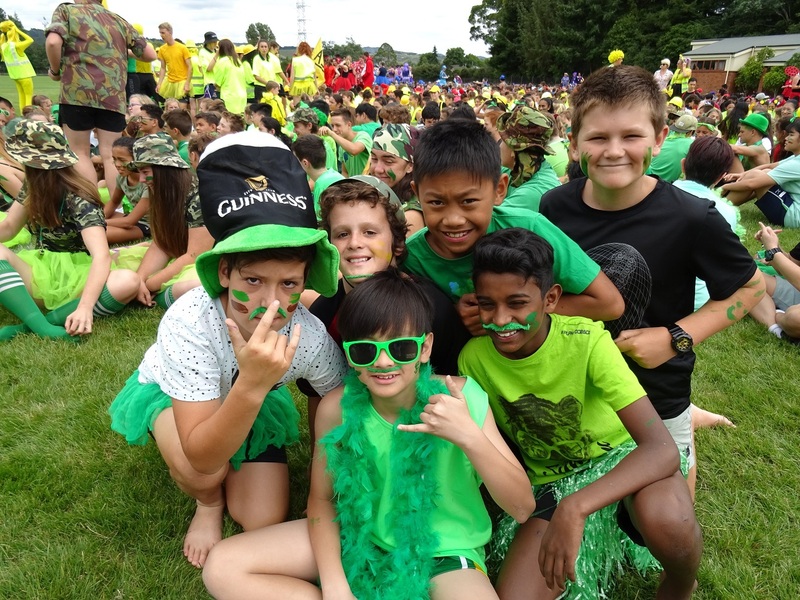 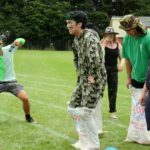 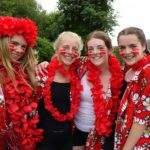 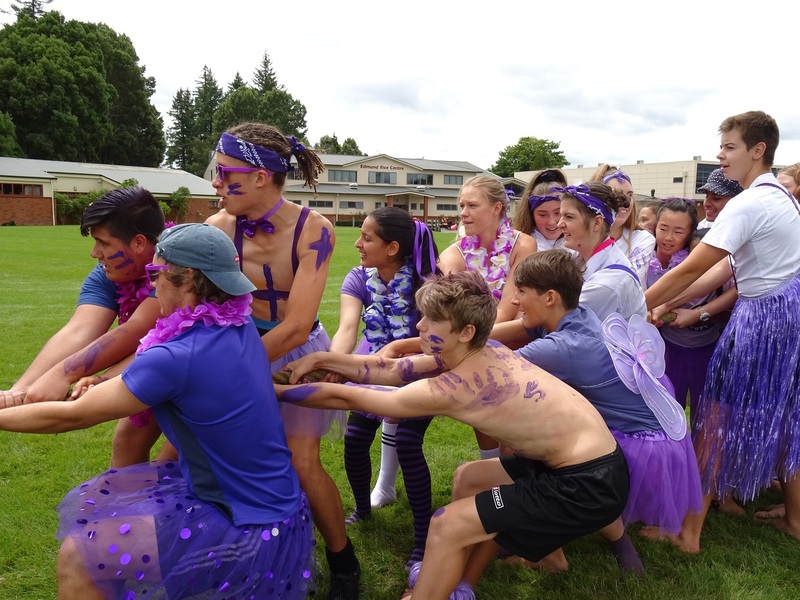 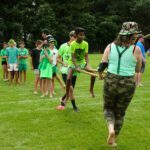 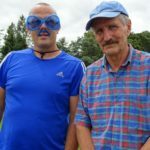 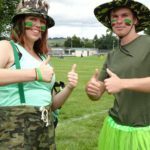 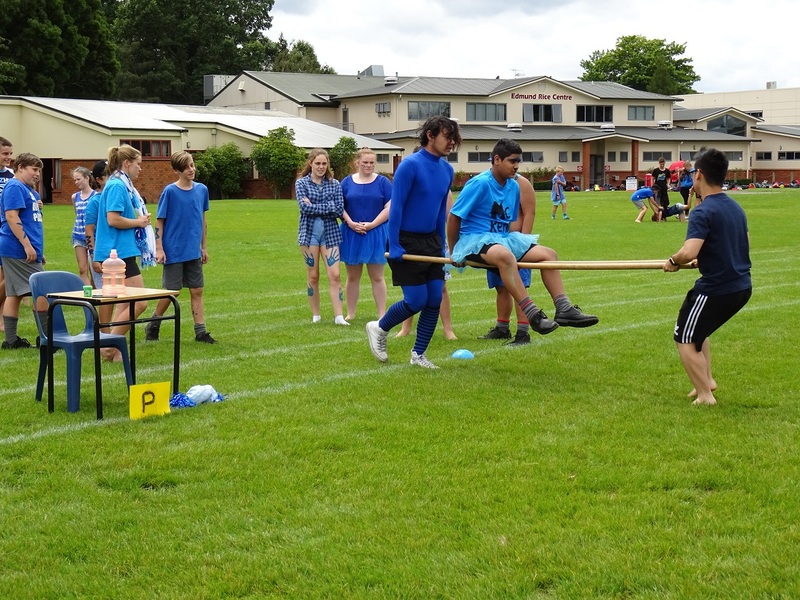 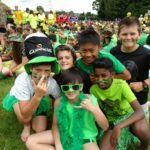 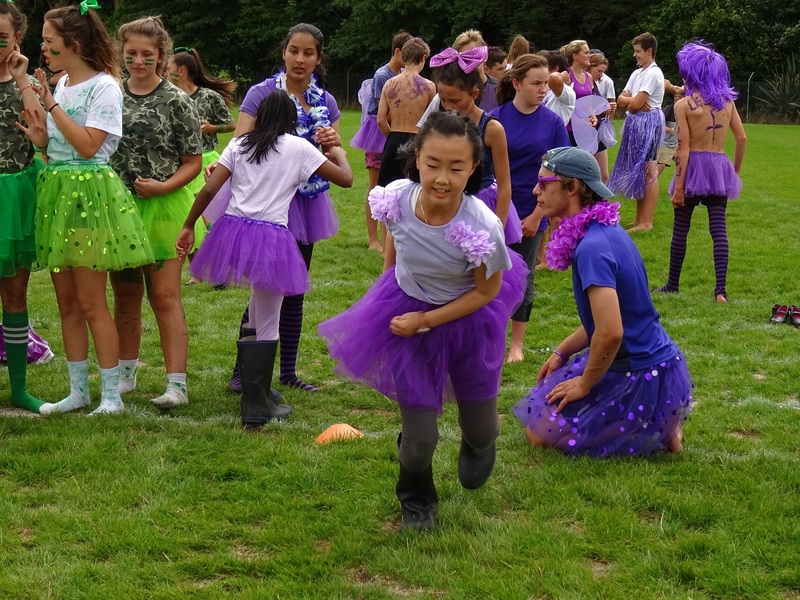 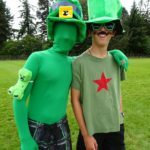 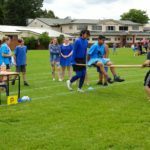 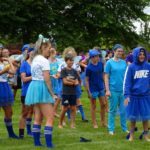 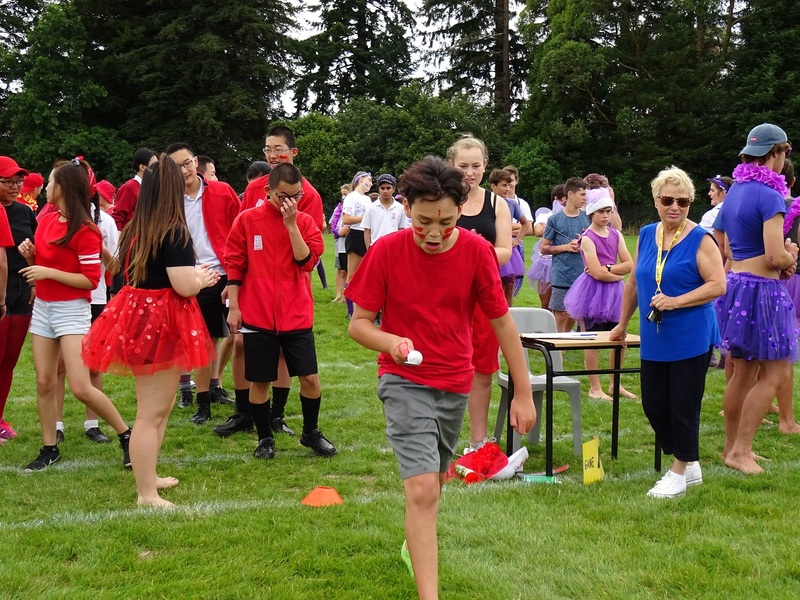 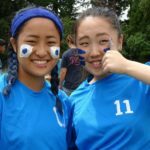 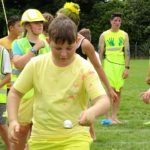 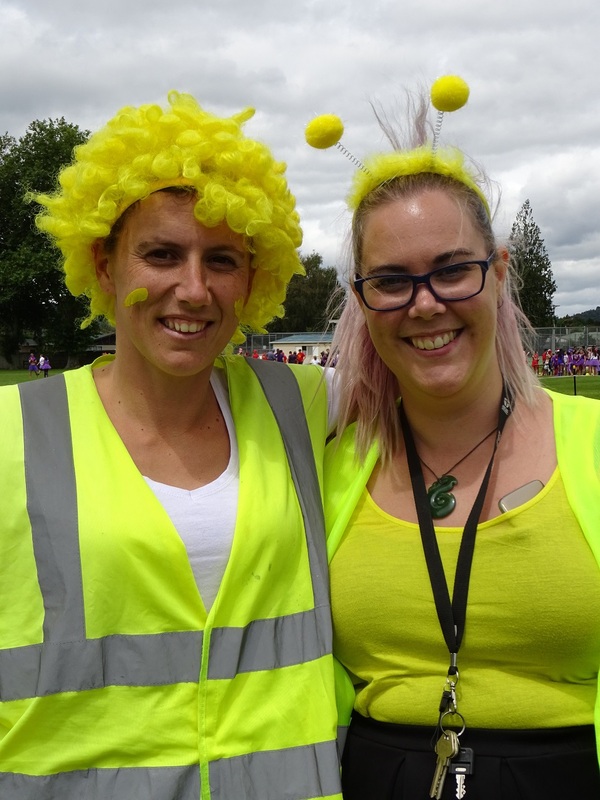 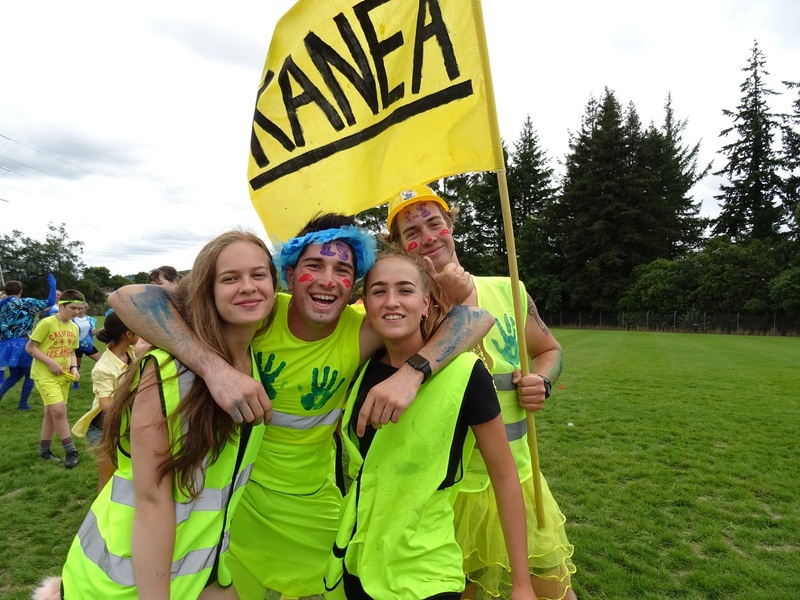 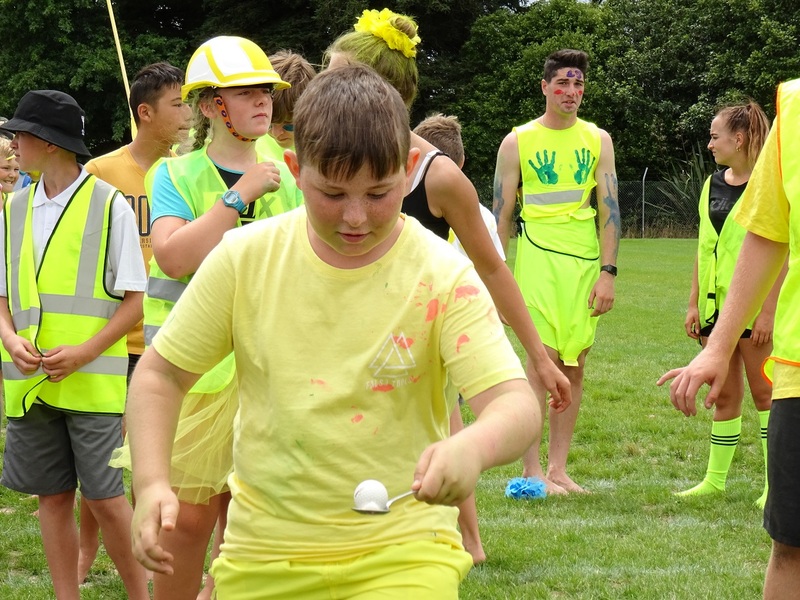 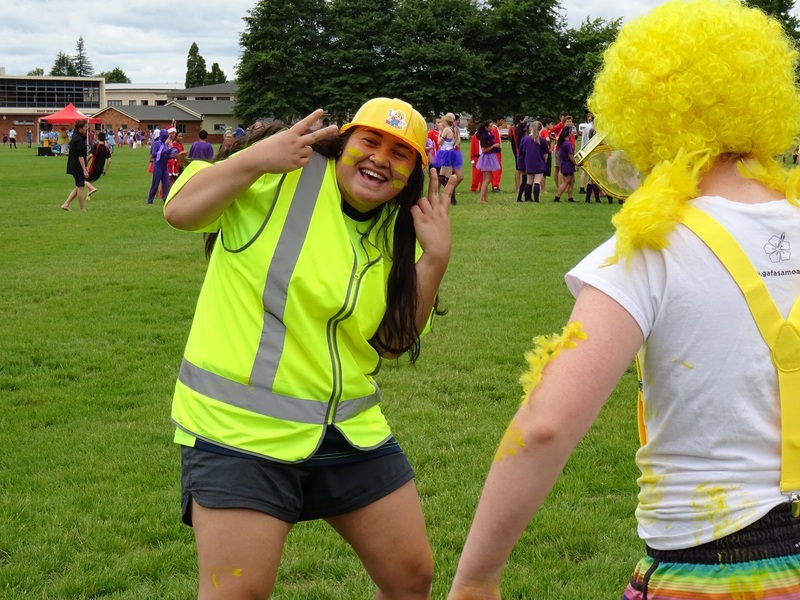 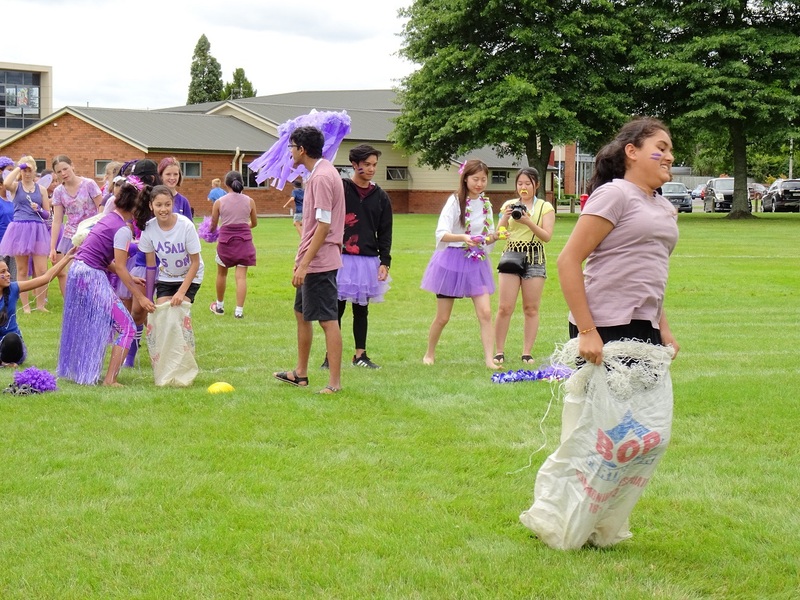 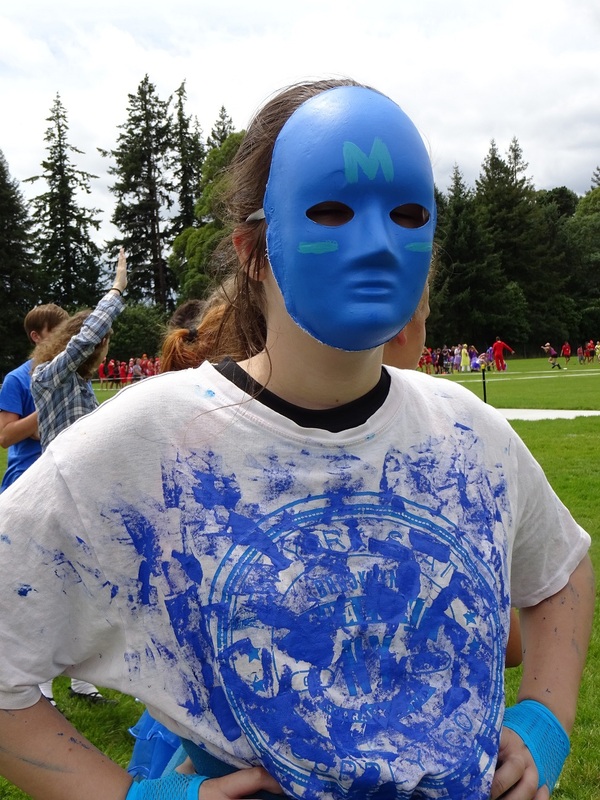 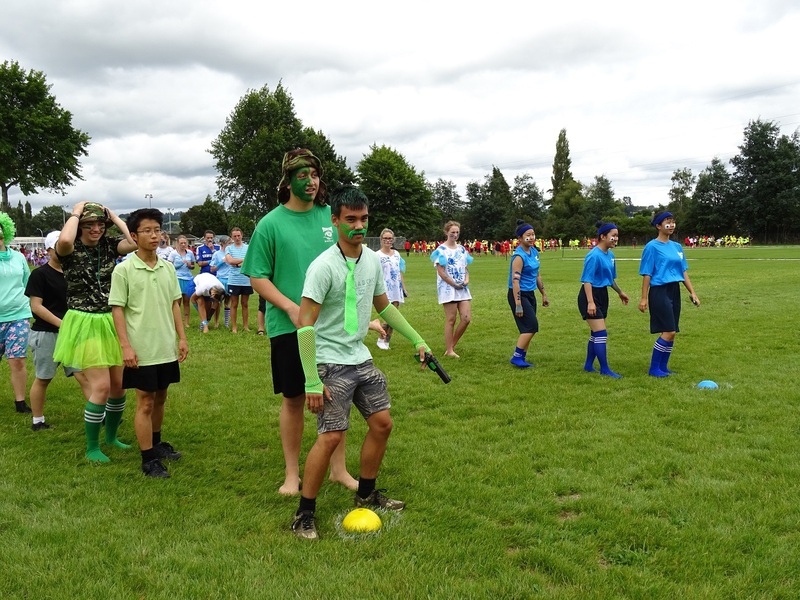 Many different challenges and activities led to a closer bond between seniors and juniors alike, whilst the friendly staff encouraged and supported all houses at each event. 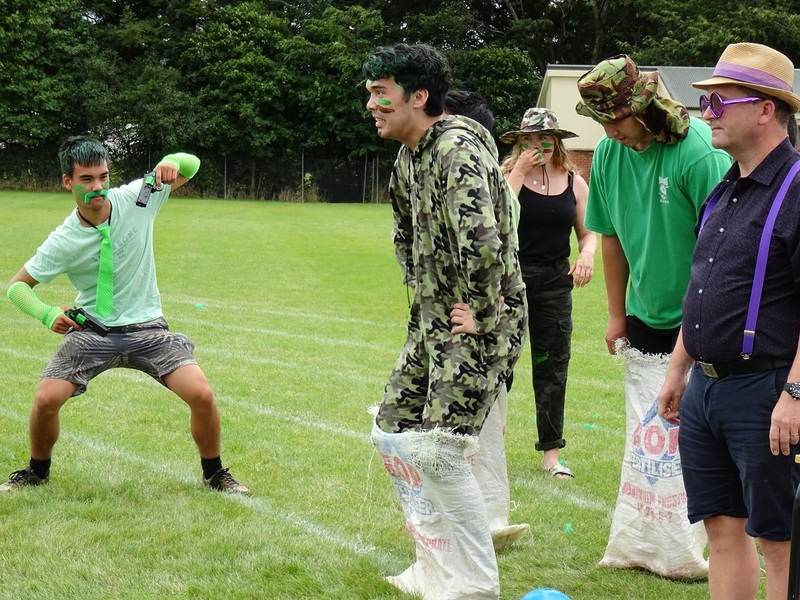 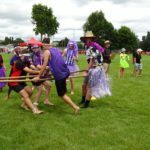 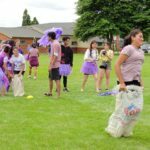 The games ranged from your classic egg and spoon race to tackling a rugby bag, everyone participating with enthusiasm. 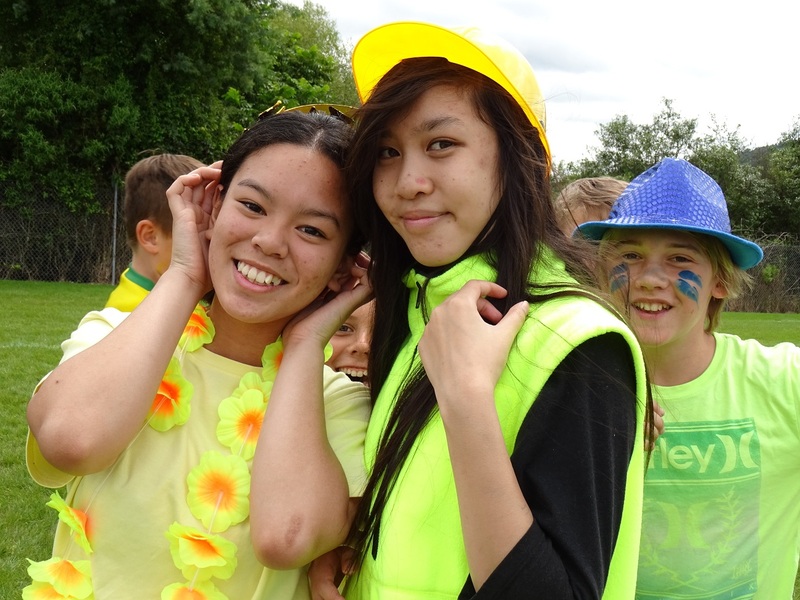 The dark clouds held off to allow for a cool and enjoyable afternoon with no showers. 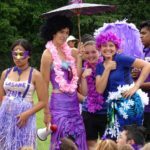 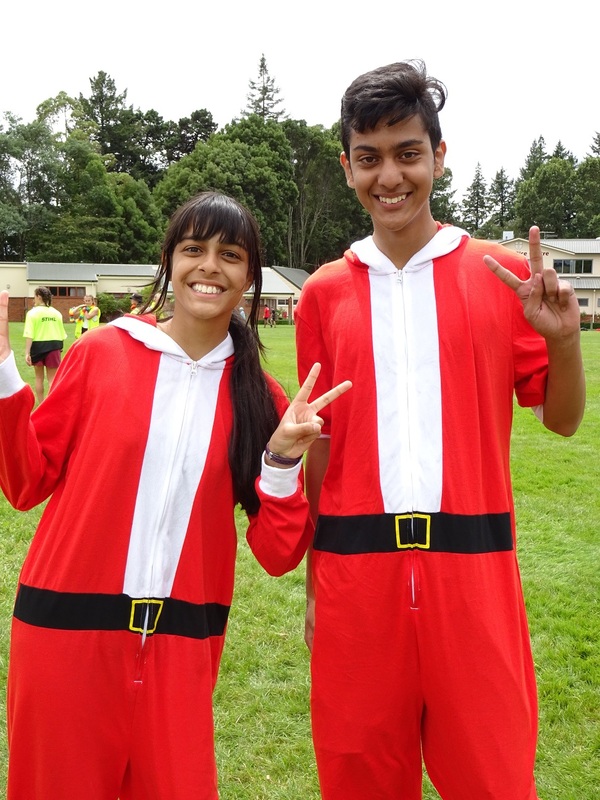 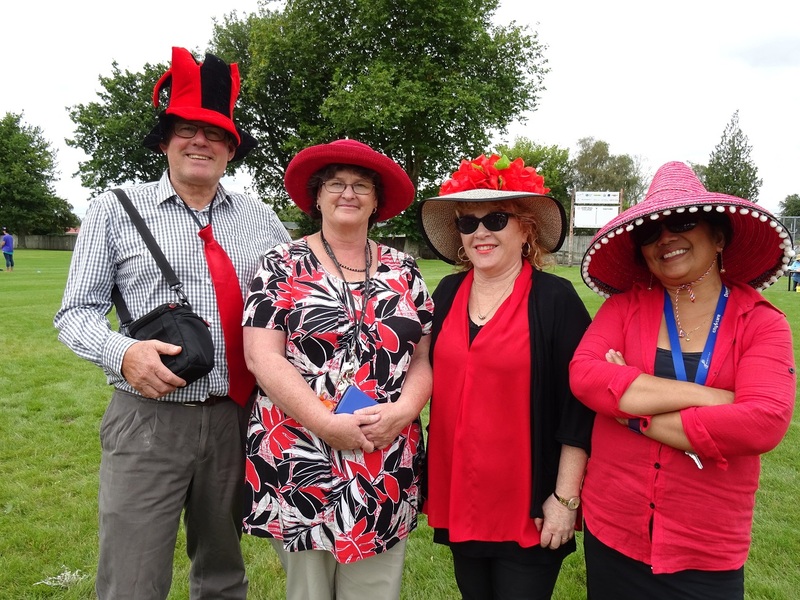 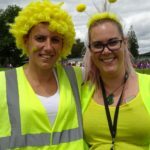 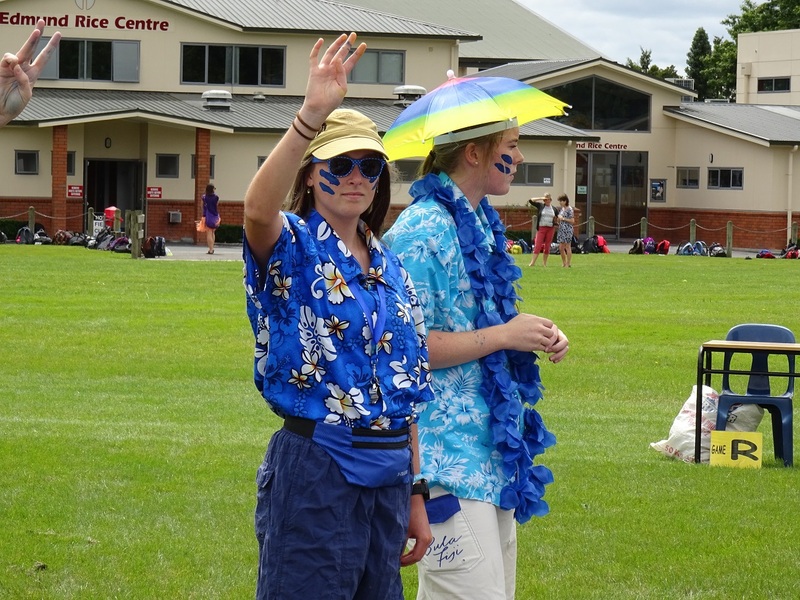 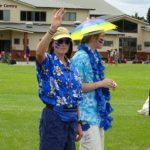 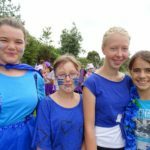 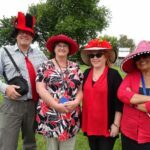 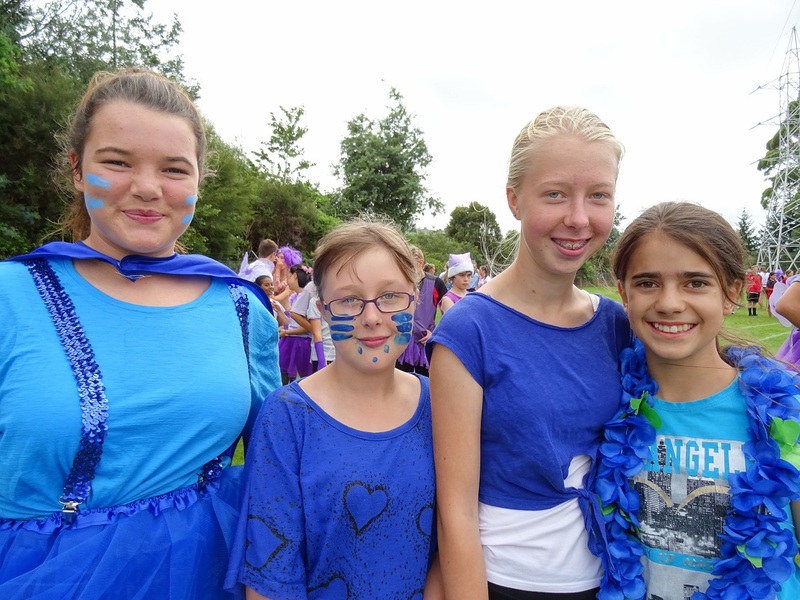 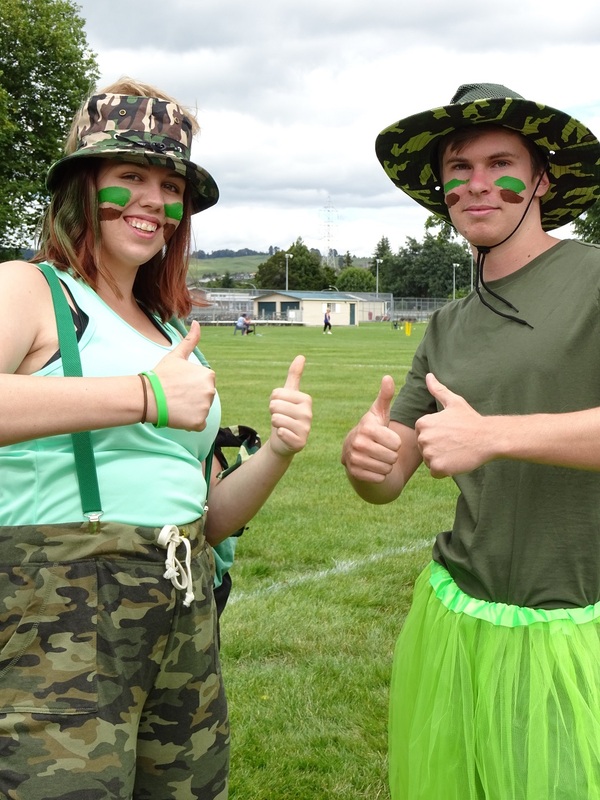 The best dressed houses, Mackillop and Mckenna clearly showed their win with their vibrant outfits. 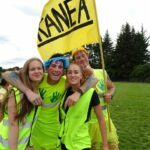 Once again, Mckenna took out the house march with loud cheers. 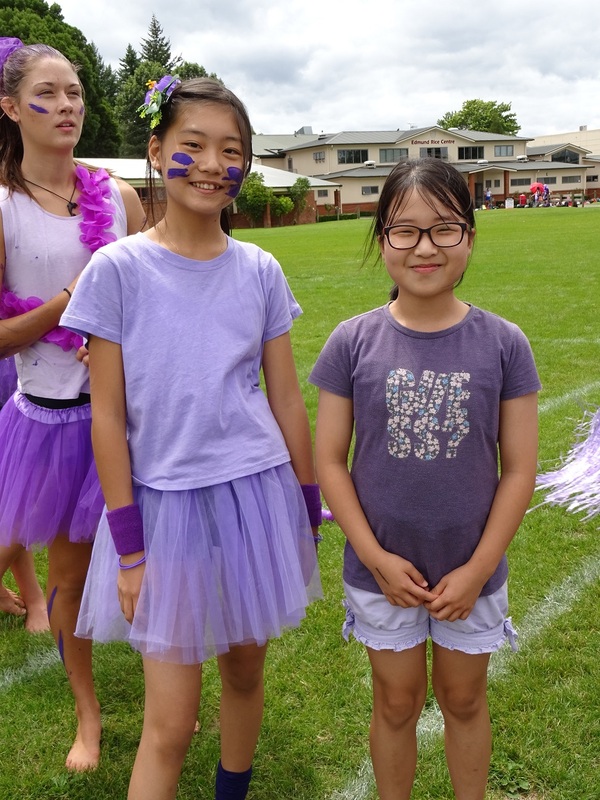 The official results for the days activities were as follows: 5th place was Kanea, 4th McKenna, 3rd Rice, 2nd La Salle and 1st MacKillop.